How Do Hydroponic Gardening Systems Work? ~ Hydroponics - Soil-less Gardening. The idea of hydroponic gardening (gardening without soil), has been around since the time of King Solomon. There are a few advantages with hydroponic gardening over traditional gardening -for example the rate of growth of a hydroponic plant can be up to 50% faster than a soil plant grown under the same conditions. And the yield of the plant is also greater! The reason for this is that the plants get their nutrition fed directly into their roots from nutrient rich water. Since this water is so high in nutrient content, the plant does not need large roots to search for nutrition. And since the plant expends less energy in growing roots it has more energy available to be productive above the rootline! 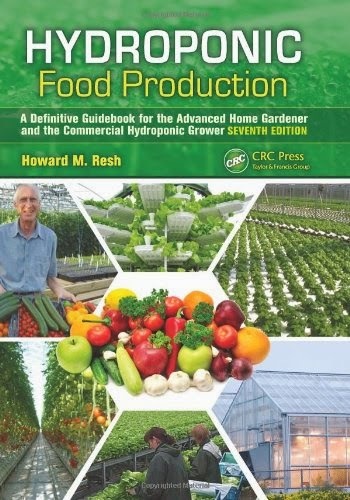 Hydroponically grown vegetables are healthy, vigorous, and consistently reliable. This form of gardening is clean and extremely easy, and it requires very little effort. Hydroponic gardening is also beneficial to the environment. For example hydroponic gardening uses considerably less water than soil gardening because of the constant reuse of the nutrient solutions. And also, fewer pesticides are necessary in hydroponic crops -they are not as necessary. And topsoil erosion is not even an issue since hydroponic gardening systems use no topsoil. How exactly does a hydroponically grown plant get its nutrition -nutrition it normally gets from the soil? Well, these nutrients come in liquid or powdered mixes and can be purchased at a hydroponic supply store. And like soil, hydroponic systems can be fertilized with organic or chemical nutrients. But you should know that an organic hydroponic system can be considerably more work to maintain since the organic compounds have a tendency clump. Hydroponic systems are normally categorized as passive or active. An active hydroponic system moves the nutrient solution with a pump. A passive hydroponic system relies on the capillary action of the growing medium or a wick. In a passive system the nutrient rich solution is absorbed by the medium or the wick and passed along to the plant's roots. 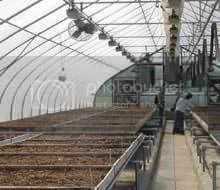 But a downside with this method is that they are usually too wet and do not supply enough oxygen to the root system for the best growth rates. Hydroponic systems are also characterized as recovery or non-recovery. In recovery systems, the nutrient solution is re-circulated for reuse. In a non-recovery system however, the nutrient solution is not recovered. You may be unsure of whether to buy or build a hydroponic system. If you have an 'engineering mind' and want to build one, consider buying one first just to get familiar with the inner workings. Buy a system which does not cost a lot of money. It will give you a better understanding of how hydroponics works and the hands-on experience can be worth the cost of the system as you will be able to reuse the parts when you decide to build one. Hydroponics gardening is a popular and growing hobby and many are finding this to be fun, exciting, and easy to get started.